Today I mailed this quilt off to a friend in the UK. 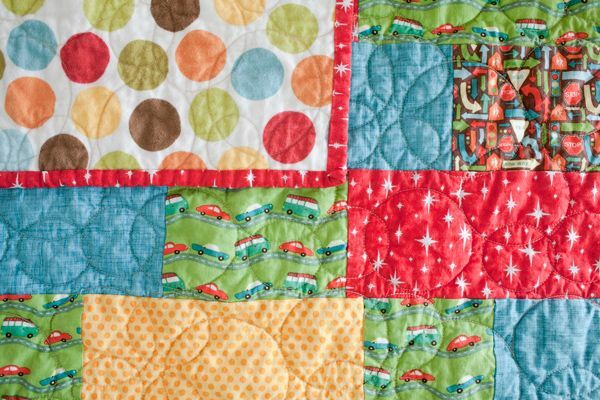 I backed it with flannel and then had Melissa at Sew Shabby Quilting machine quilt it with a simple bubble pattern. I really liked this tutorial, so much so that I used it to make another quilt for another friend. 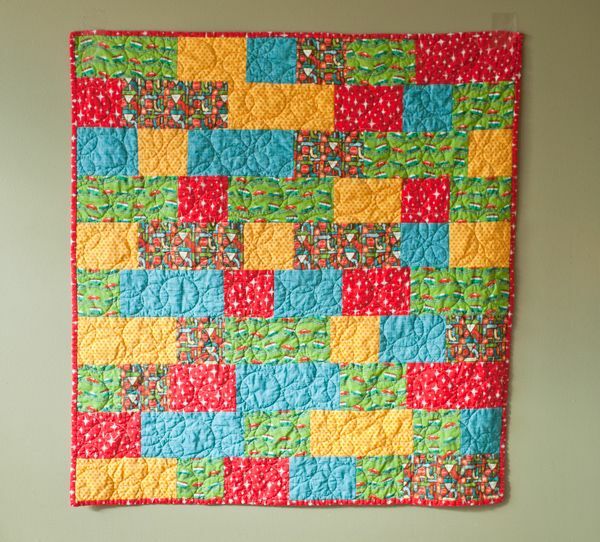 This is a great pattern to try if you're looking for something a step up from a strip quilt.